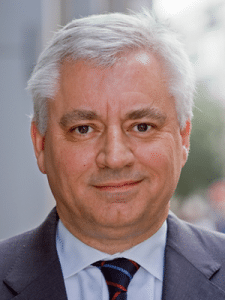 Commercial law firms that think a recovering economy will save them from the imminent and major consolidation of the market are “deluding themselves”, Sir Nigel Knowles has warned. 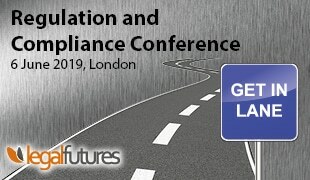 The global co-chief executive of DLA Piper said the trends in the legal market – including alternative business structures – will render many firms’ business models as obsolete, and predicted that only the “truly global or super niche” will prosper in the future. 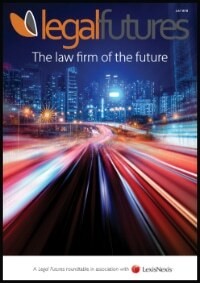 Sir Nigel argued that the legal services sector as it currently stands is unsustainable and that looking ahead to 2014 and beyond, “it is difficult to see the status quo remaining”. Writing for the London Evening Standard, he said: “Commercial law is a $300bn global industry – no one firm has more than 1% of the market share and this has to change. The sector is still remarkably fragmented; there are simply too many firms (and too many lawyers) in the market offering the same services without any clear differentiation. He explained: “Analysing the changes that have taken place, one starts and ends with a shift in client expectations and requirements. Clients are more demanding buyers of legal services – this can be ascribed to a number of factors, including the consolidation of legal panels, a greater scrutiny on fees and the desire for global solutions (and corresponding global discounts). If not super niche, the winners will be truly global firms that can offer a holistic suite of services across all regions. “However, there are many firms that purport to be operating globally but are in fact thin on the ground in many regions and as such will soon be sniffed out by discerning clients,” he said. Sir Nigel continued: “Firms will have to be creative in how they structure themselves and how they motivate and retain their key assets – the human capital generating fees. Successful law firms are run increasingly like any other major corporate and those wishing for a place at the top table will need to streamline their management structures and employ managing partners specialising in running business, rather than dispensing legal counsel. 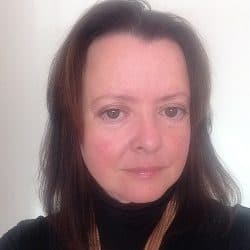 “The role of magic circle firms is slowly changing too, as they are increasingly partnering with bulge bracket investment banks in order to focus on the major transactional work. I expect this shift to continue into 2014. “For the rest of the pack, the pace of mergers is set to accelerate. Firms will merge to gain greater geographic exposure, particularly in the emerging markets of Africa and Asia, whilst the walking wounded will merge simply to survive or use to reduce costs. For those that survive the impending period of consolidation, there will be “rich pickings” to be had, Sir Nigel said, and it may be that by the end of 2014 some of the larger law firms will have finally secured at least 1% of market share. And one of the main ways to avoid the maelstrom is to establish strong Niche Positions. So to that extent I agree with Sir Nigel. But there are other viable market positions – especially that of “Local Hero”. Not every client wants to deal with a world-wide heavyweight! !